Campground Opens for the Season. 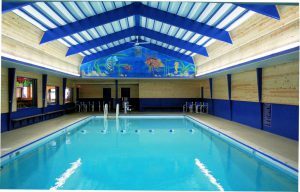 The heated indoor pool is open and ready for the whole family. Make an Easter craft and help dye eggs on Saturday. Kids 12 & under can hop on over for the Egg Hunt with a special visit from the Easter Bunny. Welcome back to the great outdoors & indoors! Reap the benefits of being outside and connecting with nature. Nature helps reduce stress levels, improves mental health, experience less anxiety, more happiness, and better relationships.